In the English of southern Britain there are many words with a close, front i-type vowel quality followed by schwa, ə. These can be divided into two groups according to their historical origins. One group stems historically from a vowel followed in the same syllable by an r-sound (phonetically ɹ) which survives in the spelling but was replaced in pronunciation by ə. Examples include near, beer, weird, Shakespeare and endearment. I’ll refer to this group as ex-rhotic, or the ‘iR’ set. The other group stems from a sequence of two syllables, the first containing an i-type vowel and the second an unstressed vowel which was reduced to ə. Often there’s a morpheme boundary between the two vowels. Examples include readjust, European, Maria, envious and skier (the r on the end of the agentive suffix on ski-er is irrelevant). I’ll refer to this group as never-rhotic, or the ‘i.V’ set. Obviously the sounds which stemmed from iR and from i.V were rather similar, both of them exhibiting a movement from a close-front to a mid-central quality. And there have been tendencies towards merging them, ie towards a situation in which infants acquiring them assign them the same cognitive structure. In fact there seem to have been two tendencies toward merger, one towards treating them all as of the monosyllabic iR type, and one towards treating them all as of the potentially disyllabic i.V type. In this type of accent, almost all iR and i.V forms are merged to the potentially disyllabic i.V structure. As an ‘educated northerner’, I myself am a native speaker of such an accent. To be honest I’ve never been intuitively sure whether beer has one syllable or two, but to me it feels pretty much a rhyme with skier, just as to sear steak feels pretty much the same as to see a steak. 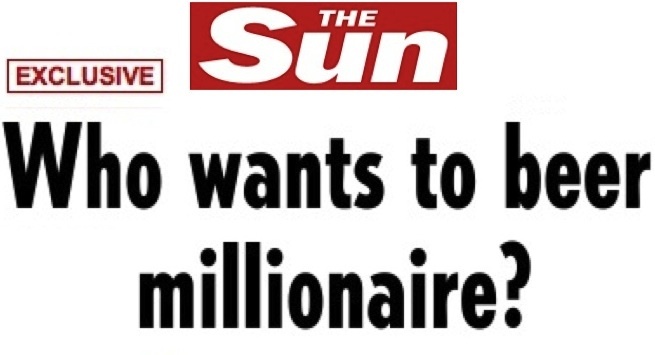 The punning headline Who wants to beer millionaire? works perfectly for me (beer = be a). This varisyllabic treatment of historic iR forms is not a marginal regionalism, but can be heard in “standard” speech of the dictionary type. In an earlier post I presented the following clips from the Cambridge online dictionary of near~nearly and retire~retirement, to show how NEAR words often behave like WIRE and SOUR words: more disyllabic when strongly accented phrase-finally (eg near, retire), but more monosyllabic when they occur non-finally (eg nearly, retirement). So much for the tendency to merge ex-rhotic iR forms into the i.V set. The converse tendency, transferring historic i.V forms into the ex-rhotic iR set, was a feature of Received Pronunciation, the elite southern British accent of the 20th century; and the merger seems to have increased during the first half or so of that century. Perhaps the most entrenched example is the word idea, which has long been treated as if it were not i-de-a but rather i-dear, giving in RP a 2-syllable word aɪdɪə. The pronunciation of idea as an iR word even extends to some rhotic speakers: many in Scotland and Northern Ireland actually say it as idea[ɹ]. Moving on to the descriptions of Jones’s successor Gimson (EPD 14th ed, 1977), we find an apparent increase of the RP merger of i.V forms into the iR set. Words of the type just mentioned – envious, copier, area, barrier, myriad, idiot, hideous, obvious, trivial, etc – were all transcribed by Gimson with ɪə. The word envious, for example, is transcribed as if it were en-vierce, env[ɪə]s. Users of Gimson’s EPD had to refer to its Introduction to find an acknowledgement of Jones’s phonetic distinction, which Gimson felt not significant enough to merit a distinction in transcription. Others went further than Gimson. A milestone in transcriptional dictionaries was the Oxford Advanced Learner’s Dictionary of Current English (1974) in which Jack Windsor Lewis for the first time indicated both BrE and AmE pronunciations. Perhaps motivated by a desire to simplify for the learner, OALDCE merged virtually all i.V forms into iR, as presumably monosyllabic ɪə; near is the only keyword given, with only word-final linking (r) distinguishing some of the historic iR forms. So OALDCE recommends Europ[ɪə]n, auditor[ɪə]m, prev[ɪə]s, accord[ɪə]n, champ[ɪə]n, etc. Things change when we come to the last of UCL’s great RP-codifiers, John Wells. In his Longman Pronunciation Dictionary, John didn’t merely apply the brakes on merger, he set about reversing it. So words like museum, Fiat and agreeable, which Jones gave monosyllabic ɪə, are transferred back to potentially disyllabic i.V (in LPD’s transcription system, iː‿ə). Similarly, Gimson’s envious, area, copier, idiot, etc return to explicitly varisyllabic i.V (in LPD’s coding, i‿ə). Likewise, the iR mergers of OALDCE and Collins – European, previous, champion, etc – return to the historic potentially disyllabic family. True mergers are not neatly reversible. As a comparison, consider the PALM and START vowels, genuinely merged by SB speakers. For such speakers, Parma sounds exactly like Palmer; linking r is equally possible in Kandahar‿insurgency and Omaha‿insurance; and when such speakers attempt to Americanize their speech, they are liable to insert r not only into START words but also, erroneously, into PALM words — oblivious to the spelling which, of course, is taught after the phonological system has been acquired. So it would be remarkable if SB speakers started to de-merge PALM and START forms consistently. And, to the extent that modern SB speakers differentiate the historic iR and i.V sets, then this suggests that the two sets never merged at all. That is, although there was a fashion among the RP elite to treat i.V words as if they were iR words (cf the RP i-laxing discussed in my preceding post), it seems that others in southern Britain didn’t do the same, and the contemporary standard accent tends to reflect this. In two respects I wonder if John’s de-merger of iR and i.V goes quite far enough, as far as contemporary speech is concerned. Firstly, there are some historic i.V words like theorem, diarrhoea, Beatrice, which LPD insists are still iR-merged, ie that pronouncing them with varisyllabic iː‿ə is not ‘Received’. I tend to doubt there’s much point today in claiming that such words behave differently from varisyllabic the-ory, IKE-A, pe-ony. My second point relates to the modern pronunciation of the iR set – real ex-rhotic NEAR words. When I wrote my earlier post on NEAR a year and half ago, I concentrated on the tensing of its first element and on the evidence for its varisyllabicity. Since then, I’ve been struck by the rapid spread of monophthongal ɪː in iR words. This seems to have been spɪːheaded by the super-frequent words here and year, which for many speakers are now hɪː and jɪː in all environments, even when strongly-accented phrase-finally. Here’s Rupert Grint saying Who’d bother crossing the Channel when you can come here? However, my tentative impression is that the younger speakers who most use ɪː in iR words don’t tend to use it in historic i.V words (with the exception, of course, of idea). And this is my second point about LPD. Its transcription iː‿ə implies potential neutralization with NEAR words – potential merger with the iR set. I’m curious to know how true this is for younger speakers. As mentioned in my post on the demise of RP happY-laxing, there has been a trend since the heyday of RP for NEAR to be heard with a first element like FLEECE rather than like KIT. It could be that for many SB speakers this was only a conditioned variant, chiefly restricted to strongly-accented phrase-final position, so that beer came to sound like Caribbean in citation form, while in most other positions ɪə remained and was monophthonged (as has happened with the SQUARE vowel) to ɪː. This would be a matter not so much of compression when weak as of ‘de-compression’ when strong. It would entail no underlying merger of iR and i.V, so that younger speakers could subsequently generalize iR = ɪː to all positions. A highly pertinent comment comes in an email from Tomasz P. Szynalski, who made a quick comparison of iR and i.V forms in both the citation forms and the illustrative sentences of the Longman Dictionary of Contemporary English (5th ed) and found them overlapping but distinct: i.V never impressionistically monosyllabic in the citation forms, iR never impressionistically disyllabic in the sentences. If it turns out for younger SB speakers that beer, near, gear etc have ɪː as their basic pronunciation, and that IKEA, skier, European etc remain resiliently distinct, then it would seem that the historic iR and i.V sets are more separate today than they ever were in descriptions of RP. So, if I understand correctly, you are saying that, rather than a merger, there has been a diffusion of several items (idea, Korea, etc.) from the i-V set to the i-R set. See, I consider the pronunciation of European ˌjʊər ə ˈpɪən as the more frequent pronunciation, but can’t for the life of me imagine than anyone ever pronounced accordion as əˈkɔːdɪən. In his book Accents of English he uses the same kind of notation for the NEAR vowel in upper-crust received pronunciation: wɛɑ̆ ~ wæɑ̆. I wonder if that is the extra short diacritic and what is it doing there instead of the non-syllabic diacritic, the combining inverted breve below. Yes, I’m familiar with John’s posts; I’m particularly grateful for his precis of Jones’s 1954 article, which I don’t own. John, like Jones and Gimson before him, ignored the historic ex-rhotic v. never-rhotic distinction, which is what I wanted to discuss. I suspect this is because all three of them exhibit(ed) the RP tendency to treat never-rhotic i-V words as if they were ex-rhotic iR forms. Nor did John’s post on rising diphthongs mention the never-rhotic words in which Jones/Gimson had ɪə but which LPD transferred back to varisyllabicity, eg museum, theory, Crimea, agreeable, Fiat, peony, Boadicea. Nor the words in which Jones/Gimson had ɪə, and for which LPD recorded ‘non-Received’ varisyllabic pronunciations, eg theorem, Korea, diarrhoea, which certainly can be varisyllabic in standard BrE today. Nor, of course, the words in which Jones/Gimson had ɪə and which LPD agreed with, but which surely are now varisyllabic, eg gonorrhea. Today’s standard speech is a not simply a descendant of RP, but reflects a wider range of southern British systems, and it seems not to follow the RP fashion for treating i-V forms like iR forms. All the variability in LPD suggests to me that in compiling LPD John was torn between the old RP fashion and the more modern patterns. If iR (i.e. post-GVS iːr, as in both deer and dear) and i-V (post-GVS iː.ə, as in Maria, skier) never quite merged, these two sets then seem to stand out against the reflexes of post-GVS aɪr/aɪ.ə and aʊr/aʊ.ə (both quite merged). The non-merger stand may be further supported, for what it’s worth, by the short-lived variant jəː (jɜː) for your iR (e.g. əˈpjəː). I find Aleph’s comment very interesting, because I, too (unlike you, I think, but do correct me), distinguish intuitively (if arbitrarily) between full (strong) and reduced (weak) vowels. Your point about aiR v. ai-V and auR v. au-V is interesting, but we need data and analysis. I often hear eg fireman as f[ɑː]man and sourdough as s[aː]dough, but are we equally likely to hear cyanide as s[ɑː]nide and dowager as d[aː]ger? If not, why not? RP seemed to have a fashion for de-emphasizing the first elements of diphthongs, and emphasizing (lengthening/opening) the second elements. If you say [ɪ̆ə̞ː] or [ɔ̆ɪ̞ː] or [ɑ̆ʊ̞ː], you seem to get a distinctively ‘RP’ sound. What I guess Aleph means is that it’s unlikely anyone said accordion with the ‘i’ stronger than the ‘on’. I would tend to agree. What I think was quirky about RP was its readiness to equate that ‘i’ (and the ‘e’ in European) with the lax KIT vowel. Looking through Shakespeare, he seems to treat player and mayor as varisyllabic, and square and similar words as monosyllabic. So disyllabic mayor is the original pronunciation. With the current de-merger, I’m not sure it’s clear which side mayor and idea will eventually end up on. The history of mayor seems to be interesting. From ‘monosyllabic’ French maire, it seems to have been re-spelled like disyllabic Latin maior. Whatever Shakespeare did, a monosyllabic pronunciation was established long enough ago that Jones, Gim and Wells all agree on it (in contrast to varisyllabic layer), and until recently it was my impression that this was pretty general in England, socially and regionally. I always associated disyllabic mayor with AmE, and I suspect the new BrE mɛjə is at least partly an Americanization. My guess is that it’s here ‘to stay’; I heard it the other day from prominent newsman Rageh Omaar (46, Cheltenham and Oxford). Conversely I think BrE idea is idear in all but spelling. You’re right … Thomas Sheridan’s 1780 dictionary gives a one-syllable pronunciation of “mayor”, so it’s been monosyllabic in England for a long time. Shakespeare does mostly give it one syllable (as he does to many occurrences of “player” and his only use of “bricklayer”), but there are a couple of instances where the verse only scans with two syllables, so I think it’s possible that it was varisyllabic at that time—the American pronunciation presumably came from somewhere. Both Merriam-Webster and American Heritage give disyllabic first, monosyllabic second, which presumably preserves the Shakespearean state of affairs. All else being (quasi-)equal, that is (picnic v. atomic). Would you say s[iː]rious and p[iː]riod Geoff? Wells lists those pronunciations for people who say [biːə] beer. Firstly, I don’t think anyone says s[iːə]r[iːə]s and p[iːə]r[iːə]d with four syllables. Before ɹ + vowel you can get something like a typical FLEECE vowel, as Wells suggests; alternatively you can get ɪː, which can be treated as the ‘allophone’ of FLEECE that occurs in that environment, and that’s how I say them. Of course s[ɪː]rious and p[ɪː]riod are also the most common standard southern BBC-type pronunciations; contrary to the dictionaries, one doesn’t literally hear ɪə in words like this any more. The important thing to note is that the FLEECE-NEAR contrast is generally neutralized before ɹ + vowel (within a morpheme). The same thing applies to PRICE-WIRE, MOUTH-SOUR and GOOSE-CURE. The online Macmillan dictionary has some nice transcriptional fluctuation, with eg fiery as /faɪri/ and wiry as /waɪəri/. That implied contrast shouldn’t be taken seriously: you can hear both words pronounced both ways. In your quote of p.361 from “Accents of English”, you’ve not included the part where John says that this was typical of the most conservative northern speech. I was surprised when I first read this, given that I encountered the disyllabic forms everyday and I was born after the book was written, but I presumed that my area must have particularly old-fashioned speech. 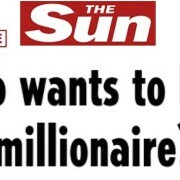 Since then, I’ve come to the conclusion that John was actually wrong on this point (shock horror! ).